The new industry standard for accurate, reliable measurement and recording of pressure, differential pressure, and temperature in a wide variety of applications. A direct replacement for Barton Chart Recorders. 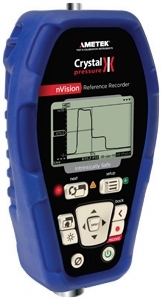 Portable enough to complete calibrations anywhere. Also check the rest of our Used Pressure Equipment!